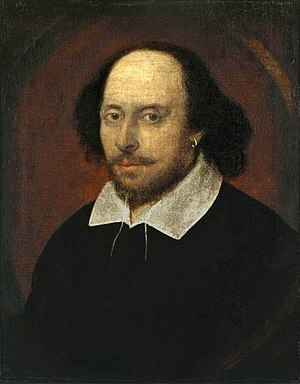 An oft-quoted phrase by one of England’s most famous sons, William Shakespeare, employed particularly when a product, service, or organisation is contemplating a name-change or brand refreshment. This exercise usually occurs when a particular title has gone past its sell-by date and the profile, identity, and positioning, calls for renewal. A case in point is the usage of the terms Certified Financial Planner, and Chartered Life Underwriter. With all due respect to those responsible for these designations, they are inappropriate, inaccurate, and obsolete. In short, these designations need refreshing as they hark back to a bygone era when the financial services industry was entirely different to the market we operate in today. Firstly, the term ‘financial planner’ – at least for this immigrant who arrived in NZ in 1988 around the time Graham Rich et al were developing the concept of an investment advisory industry – conjures up images of pin-striped pointy-heads, burrowing into fact sheets, prospectuses, etc, and producing 50-page reports on asset allocation, yield curves, and interest rate assumptions. All of which were mysterious to the mythical ‘prudent, but not expert, investor’, who only ever read the first and last pages of these Amazon Forest-consuming documents. Secondly, the term ‘life underwriter’ refers to an individual employed by a life insurance company to assess occupational, vocational, financial, and medical risk pertaining to the mortality or morbidity benefits requested. The designation CLU is currently afforded to those individuals who do not fulfil this definition, and are as far away from the true underwriting function as the Republican Tea Party extremists are from common sense. This designation is a complete misnomer, is wildly inaccurate, totally misleading, and is crying out to be replaced. In an era when commission was accepted on investment products, and the regulatory environment had not yet presented the market with the concept of providing advice for reward rather than flogging products, the titles may have been broadly appropriate. But post-FAA 2008, whether financial advisers like it or not, they are selling advice. Some of that advice may contain product-based solutions – in the ‘risk’ space it almost invariably does - but the primary conclusion is the advice that a solution is needed. Sensible advisers use a comprehensive discovery process to establish the client’s circumstances, identify the client’s needs, and then develop recommendations to meet those needs. Mention of a product to solve the issues identified in the analysis now comes well down the list of steps in the process. This wasn’t always the case, and those readers of this writer’s vintage may well recall that for any and every personal or business financial risk need identified the ubiquitous solution was a whole-of-life, so-called ‘permanent’ life insurance contract so heavily favoured by the mother mutuals who dominated the financial services industry for decades before the arrival of Sovereign in 1989. Even then, the annual conference and the advisers’ association referred to the Life Underwriters Association – the LUA – it was a misnomer then and it’s a misnomer now. Excuse the mnemonics, but the good people who are members of ALUCA must get hacked off when advisers, who couldn’t underwrite the risk presented by an Olympic athlete, are referred to as Chartered Life Underwriters – CLU. Wrong designation – inappropriate title – and high time those responsible woke up to the reality of the contemporary market. For what it’s worth, here’s my suggestion. The use of the term ‘chartered’ or ‘certified’ is not controversial. Given a choice, I’d prefer ‘chartered’ as the other word has connotations of someone destined for an institution designed for those with severe mental impairment. But both investment and risk areas are populated by financial advisers, the difference being the focus of their expertise, qualifications, and practice speciality. So why not have both categories designated as Chartered Financial Adviser, CFA, with a simple (I) for Investment or (R) for Risk to denote their particular field of expertise? For my money, it gets rid of the outdated perceptions attaching to the CFP and CLU post-nomials, in particular removes the glaring inaccuracy contained in the CLU designation, and more accurately reflects the tone of the governing legislation. Whatever the varying generational schools of thought may be, the next generation of financial advisers, risk and/or investment, will expect to have to meet certain educational standards and qualifications. Once an industry embarks on this path, reversing the trend is well nigh impossible – and so it should be. Clients and potential clients are now better informed than ever with the arrival of a truly mass communication medium via the internet. Television provided information restricted to what programmers and their masters thought fit to provide viewers; the internet is a source of endless information, exposure to which is entirely chosen by the consumer. The difference has significant implications for advisers who choose not to become qualified and maintain the currency of those qualifications by gaining and honing their skills, knowledge, and expertise. Financially savvy clients can quickly spot an adviser who is off the pace in a specific subject – been there done that in my days as an Independent Financial Adviser in the UK. But only once, I hasten to add, as, after the initial negative reaction to the ‘smarty-pants’ client, I conceded that it was my function to know more than the client – otherwise no value is added by his/her retaining my services. Therefore, I’m wholly supportive of ever-increasing educational standards and qualifications, and likewise supportive of the recent proposed changes to the Continuous Professional Development requirements. But the designations need to be reflective of the changes taking place in the market and to present, describe, and identify the nature of the practices undertaken by advisers in the regulated environment. And while names and titles cannot guarantee excellence, CFA (R) and/or CFA (I) might go some way to bringing the profile and identity of qualified advisers into line with contemporary society. Life Insurance Company ratings - still useful?